It’s about time Google. A design guideline for Android app developers has finally been released by Google in an attempt to make Android Ice Cream Sandwich apps more standardized and easier to use. Fact is that with freedom comes anarchy. I’ve always loved Android’s freedom, but that came at a price: different apps had different looks and different ways to be used, turning using an Android smartphone into an annoying experience at times. Apple’s style of controlling everything, which got them quite a bot of critique from users and specialists alike, at least made sure that an iPhone or iPad app feels exactly the same as its counterparts. The Android Design site includes everything a developer could need in order to build a great-looking Ice Cream Sandwich app. The site includes Google’s creative vision, design principles, as well as a UI overview. 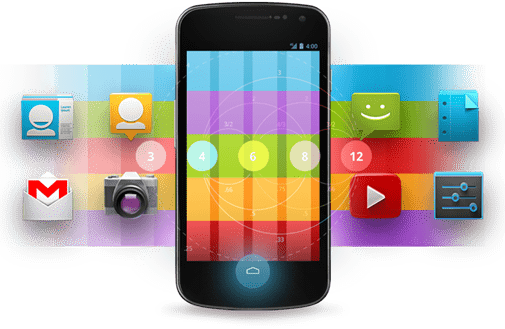 Also, details such as the use of themes, fonts and patterns are all explained, so developers can make apps that run and looked good on almost any Android device. This comes after Google announced that devices running Android 4.0 and above will have to run the Holo theme, as a compatibility requirement. Hopefully Google will impose the design guidelines too, as this is a good effort on their part to reduce the fragmentation of its platform. And since we’re talking about Android, Intel has plans to play a bigger part of the smartphone game. A lot going on as everyone tries to grab a piece of this giant mobile pie! Do you think this will bring any order to the absolute mayhem that makes up the Google Market, Amazon Market, Alley next to my house market? I have to say — This is one area Apple has done very well in.